The Elegance of Food. 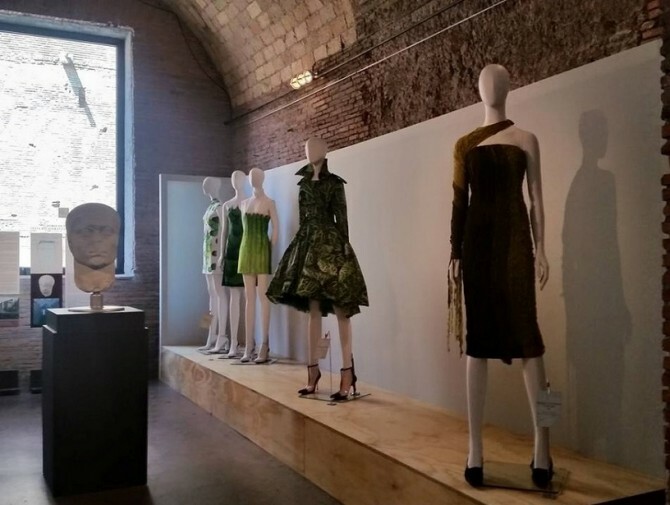 Tales about Food & Fashion is the brand new exhibit at the Trajan’s Market entirely focused on two strong points of Made in Italy: food and fashion indeed. The exhibition takes visitors on a journey across the link between nature and nutrion as it was and still is transposed in high fashion design. Water, Air, Earth and Fire appear then as inspiring motifs of haute couture artistic creations, from embroidery and textures to dresses and accessories. That’s not all. The relation between nutrition and nature is the subject of the six month global fair EXPO MILANO 2015: the exhibit is thus a further tribute to this gigantic event. The Elegance of Food is open every day from 9.30 am to 7.30 pm until November 1st, 2015. 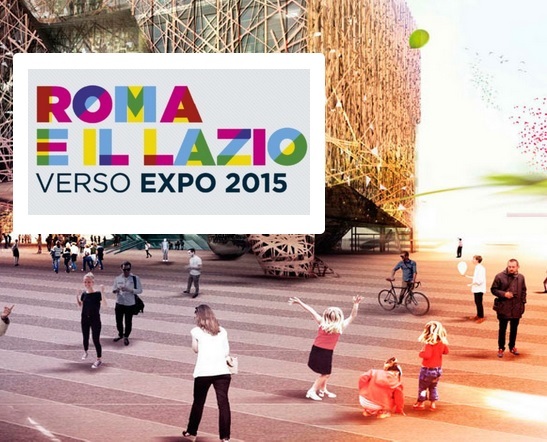 HotelRome.net will be glad to provide you with more info on Expo Milano 2015 and current events in Rome! An impressive two-thousand years old celebration will take place on Sunday May 24th inside the Pantheon, one of the most important monuments located in the heart of Rome. Born as a pagan temple, the Pantheon was converted into the catholic Church of Santa Maria dei Martiri several centuries ago, and from the time of the earliest Christian communities it hosts once a year a special liturgy on Pentecost Sunday: a rain of red rose petals will be poured from the top hole in the ceiling, the architectural wonder that made the Pantheon so famous all over the world. 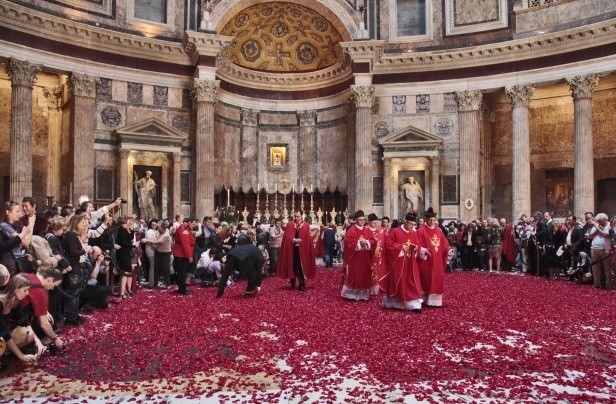 Pentecost, which occurs on the 50th day after Easter Sunday, celebrates the descend of the Holy Spirit on earth after the sacrifice of Jesus, whose blood is precisely represented by the red rose petals. A mass starting at 10:30 am will be part of the liturgy of course. 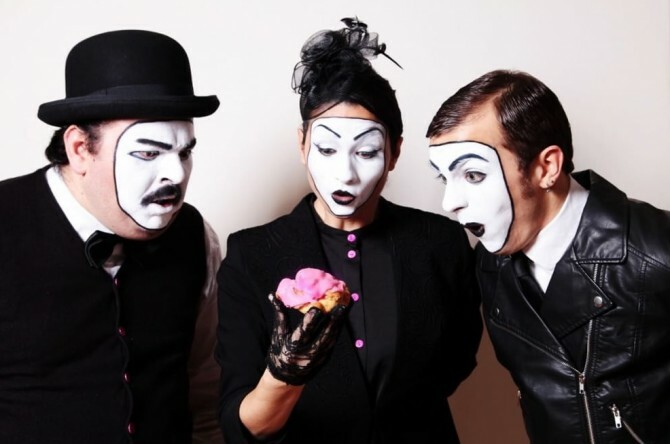 For any further information about this and other events in the Eternal City don not hesitate to contact us at HotelRome.net! On the occasion of Expo Milano 2015, where Rome and Lazio – its region – will enjoy particular attention and a number of local products have been selected as genuinely representative of the cooking tradition of this corner of Italy: 26 wines; 14 meat and sausages; 8 types of bakery and confectionery; 10 types of cheese and dairy products; 26 including vegetables, fruits and legumes; 4 oils and 12 among fish products, mineral waters and other categories. You can easily find most of them in any traditional Roman restaurant: ask our staff at HotelRome.net for the best places downtown! INTERNAZIONALI DI TENNIS DI ROMA 2015: THE BEST OF WORLD’S TENNIS IS COMING! Sport lovers, sign the date: from May 9 to 17 Rome will be home to all the most famous tennis players in the world. The occasion is given of course by the yearly Internazionali di Tennis d’Italia in Rome, come this time to its 72nd edition. 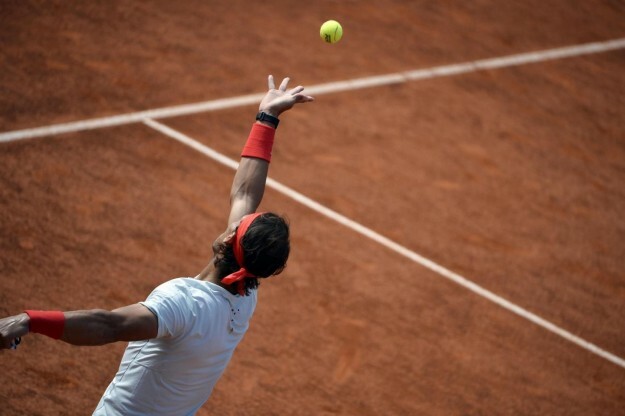 Nadal, Djokovic, Federer, Murray, Raonic, Nishikori, Flavia Pennetta, Sara Errani, Roberta Vinci, Camila Giorgi, Francesca Schiavone, Karin Knapp, only to name a few, will face each other in the enchanting backdrop of Foro Italico, where up to two-thousands spectators will have the chance to watch their performances at Stadio Nicola Pietrangeli and Grand Stand Arena. Tickets are still available, between 20 and 100€ more or less, according to the day and match of course. Contact us at HotelRome.net to purchase your seat, or to get any useful information about this great International tournament! A brand new section of the Museum of the Walls might been open in Rome, following the few days ago discovery of no less than 80 meters Aurelian Walls (3rd cent. AD) in St. John Lateran’s Archbasilica area. The event was totally unexpected as scholars assumed this section of the Walls was lost as a consequence of the radical rearrangements which took place in the area in the middle of the 18th century to renovate St. John Lateran’s facade: the Walls were supposedly torn down or collapsed on that occasion – an idea reinforced by the lack of references in the scientific literature. The extent of the discovery is invaluable: eleven arches, two towers, even traces of medieval painting (as those walls served as shelters to hermits during the Middle Age), plus a complex hydraulic system of the modern era (from the 17th century) and slits for archers with visible amendments after the invention of gunpowder. Contact us at HotelRome.net to get all the information you need on the Museums of the Walls and other must-see sites in the Eternal City! 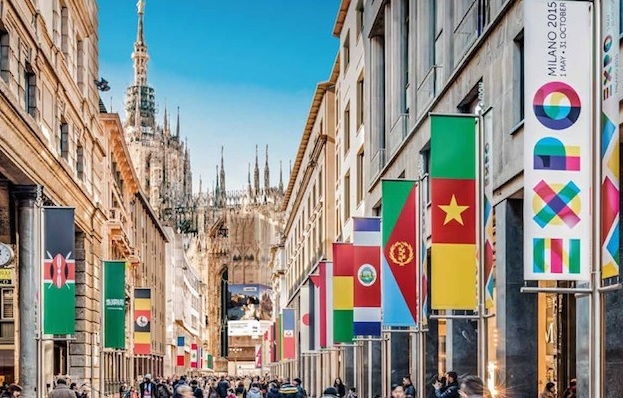 EXPO MILANO 2015: WHERE & HOW TO BUY YOUR TICKETS! Expo Milano 2015 is at the doors, the opening day being on May 1, 2015. 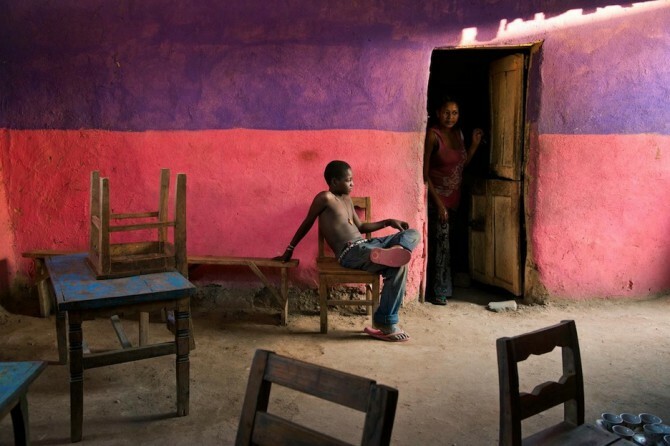 Then until October 31 this global event (145 countries are taking part to it!) on food & nutrition will offer debates, conferences, exhibitions and many more entertainments 7 days a week from 10am to 11pm. – WHERE: you have three options to buy your ticket. 3) from any Authorised Reseller. – HOW MUCH: ticket prices vary depending on the type of event you intend to attend and on some other variables which may give you right to discounts (such as age; being part of a family group, school; having diabilities etc.). As a general idea, tickets range from a minimum of 5€ for night events to more than 100€ for the seasonal pass. You have several choices in between of course! Now read the next point…! Fixed Date –> for the entire day on a specific date between May 2 and October 31. For tickets and information contact us at HotelRome.net! 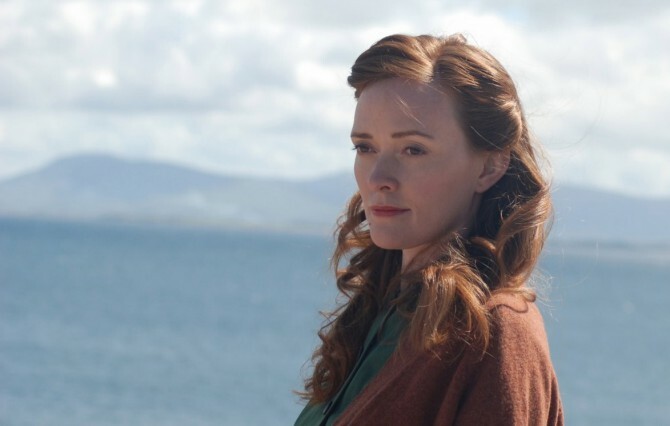 Since 2007 Rome hosts once a year a film festival which aims at promoting Irish cinematography in Italy: it’s the IrishFilmFesta, coming soon to its 8th edition. From March 26 to 29, 2015, indeed film shows, meetings with directors, actors and producers and much more will take place at Casa del Cinema di Roma in the enchanting backdrop of Villa Borghese. For four days public will be immersed into a cinema industry which has much to offer, despite it is still less known, its productions being too often confused with English or even American ones. There is no entrance fee, but public will be free to support the event through a donation. Shows begin at 5pm (3.30pm on the weekend) and are of course in original language (including Gaelic) with subtitles. To get details on the programme check out the official website or contact us at HotelRome.net!